Thai cuisine is a delightful medley of punchy spices, herbs and coconut milk that produces absolutely irresistible sweet and sour dishes. 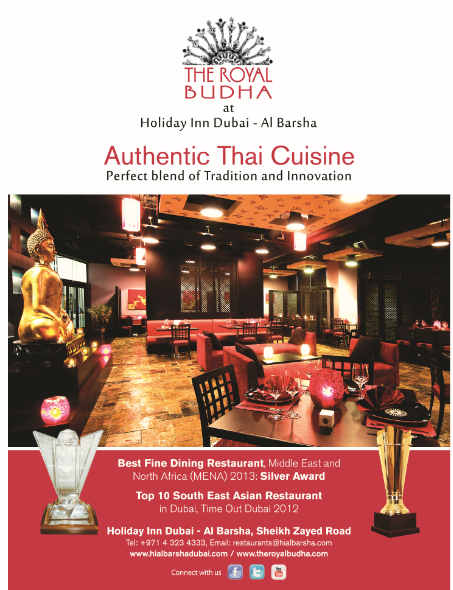 An exceptional Thai culinary experience awaits diners at The Royal Budha restaurant at Holiday Inn Dubai – Al Barsha. 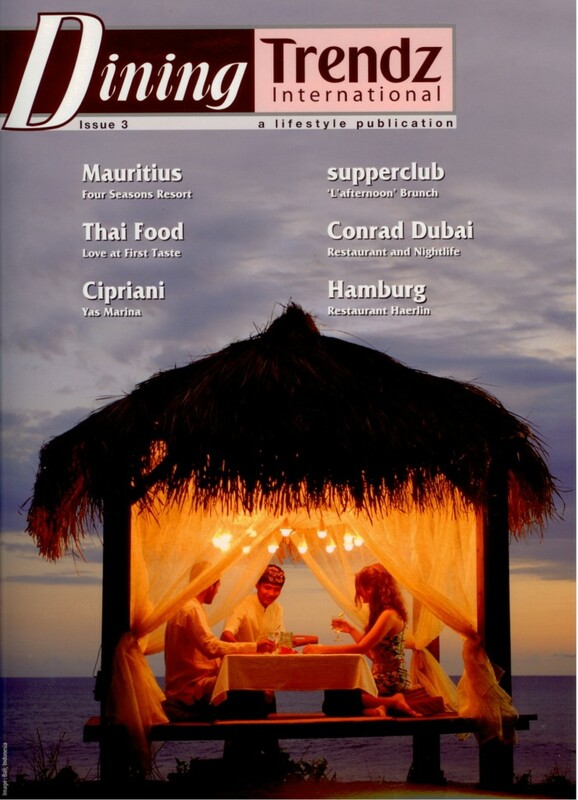 With its extensive menu, the restaurant lays out a lavish treat of authentic Thai delicacies. Your fine dining experience is further enhanced by the regal interiors that boast of handsome, dark wood furniture draped in luxurious fabrics. Adding to the intimacy is the soft lighting and the use of ornate decorations designed to put you in the right mood for a gastronomic ecstasy. Creative cuisine delivered in a stylish setting under the watchful eye of a towering Buddha makes dining a royal treat at The Royal Budha. Situated on the ground floor, this contemporary Thai restaurant is the perfect blend of tradition and innovation. 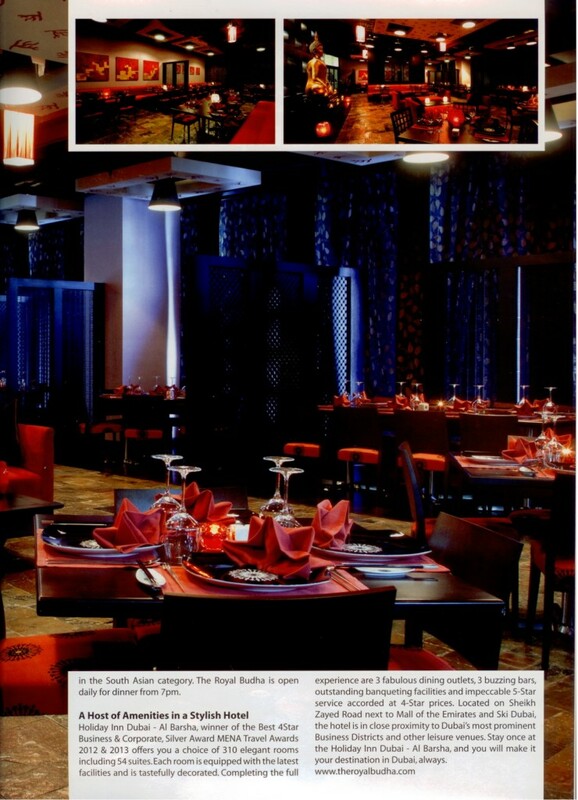 The Royal Budha also made it to the Time Out Top 10 Best Fine Dining Restaurants, 2012 in the South Asian category. The Royal Budha is open daily for dinner from 7pm. Holiday Inn Dubai – Al Barsha, winner of the Best 4Star Business & Corporate, Silver Award MENA Travel Awards 2012 & 2013 offers you a choice of 310 elegant rooms including 54 suites. Each room is equipped with the latest facilities and is tastefully decorated. Completing the full experience are 3 fabulous dining outlets, 3 buzzing bars, outstanding banqueting facilities and impeccable 5-Star service accorded at 4-Star prices. Located on Sheikh Zayed Road next to Mall of the Emirates and Ski Dubai, the hotel is in close proximity to Dubai’s most prominent Business Districts and other leisure venues. 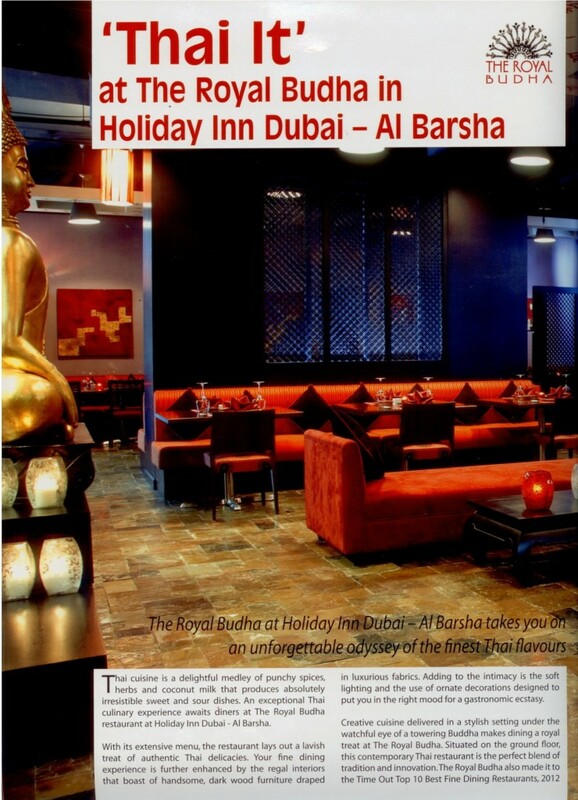 Stay once at the Holiday Inn Dubai – Al Barsha, and you will make it your destination in Dubai, always.